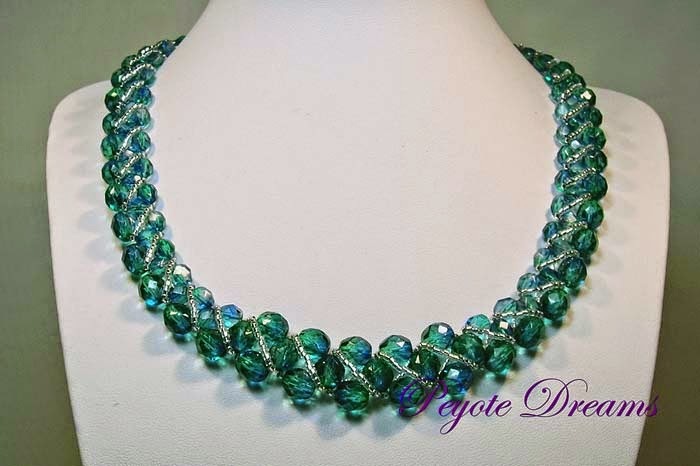 Sometimes, I just like to noodle around with beads without worrying too much about what I am making. Just playing with the beads. 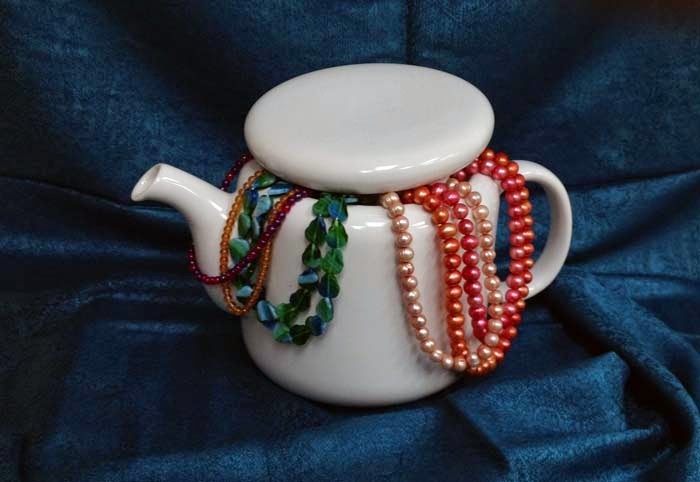 This technique is good for using left over odds and ends of beads too. 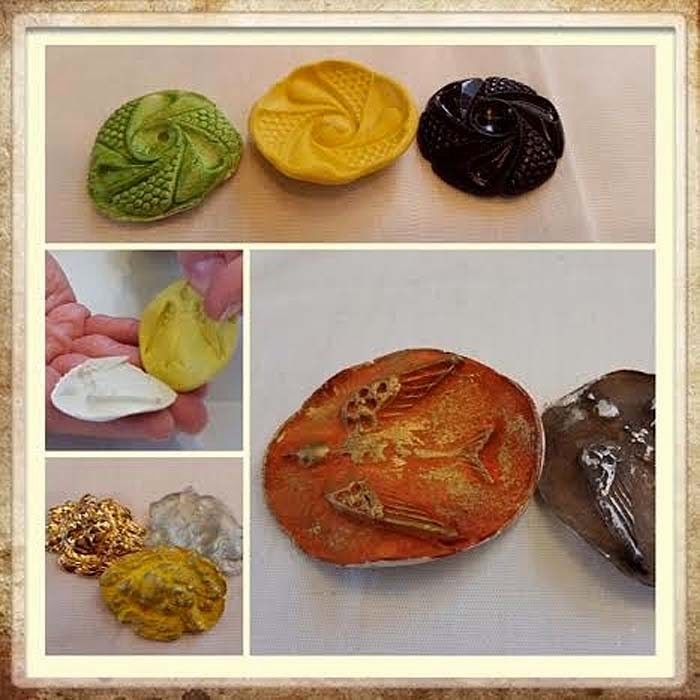 You can add a pin-back to these to make them into a brooch, decorate a summer hat with them, or maybe use them as decorative elements on a table for a dinner party, or even on a side board or in a guest powder room? To make the leaf portions, take a piece of relatively fine wire, i.e. 26 gauge, slide a leaf bead to the center, and fold the wire in half, with that bead at the centre. Then twist the bead until you have about a quarter inch of "stem" and the leaf is held securely. Then divide the wire, and slide another leaf on down close to the first one, about an inch out, and twist the leaf, holding the wires secured, until you have another short stem made. Then do the same on the other wire. Continue alternating wires until you have enough leaves. For the blooms, add your dagger, petal beads, etc., 6 or more to a piece of wire, and then twist until they are tightly held. They will probably want to flop back and forth still, however, so add a drop of clear glue between each petal in order for them to hold their shape. Make your leafs and flowers separately, then twist the stems together, and overwrap with more wire to secure them and make the main branch stronger and more secure. Make sure to tuck pointy ends in and trim them off so that no one gets stabbed. I coiled the focal just so you know. 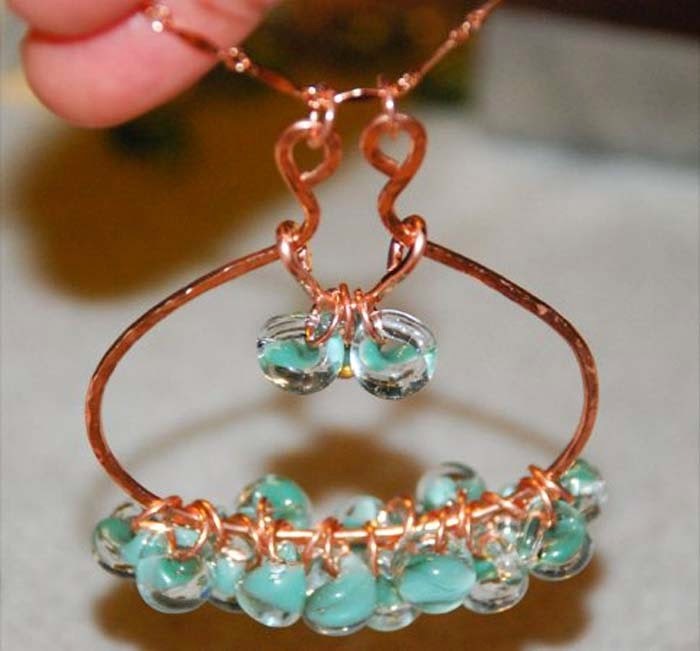 String on the two types of pearls and firepolish on the wire and use the Coiling Gizmo. Once that's done string on the pearls (both Swarovski and Stick), cubes, firepolish on the beading wire, crimp and your findings. Oh yes now away we go. 20% off Swarovski Hot Fix Stones! To bead, or not to bead, that is the question? 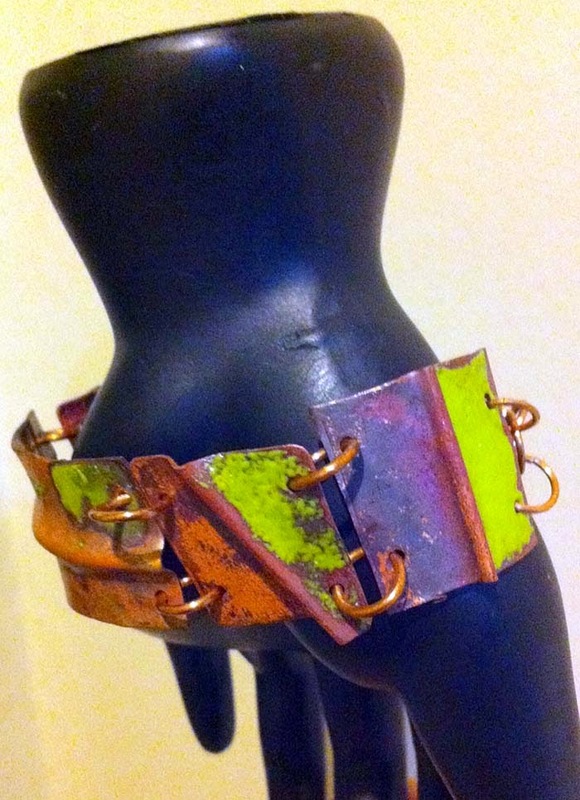 a unique creation, apart from the placid, safe and stagnant seas of mass-produced conformity. Perchance to weave a net of right-angle weave - cast about with Antique English Cut, beads that verily look to be pulled from the treasure chests of yore, with their lovely and distinctive flaws well about them, rough and ready and proclaiming proudly that here, indeed, is a bead-holder with taste and a flair for the dramatic! Or Leaf bored and tired palettes behind, and paint with bold strokes of colour so inflamed and violent that the very heavens tremble at the sight! Bold swaths of Radiant Orchid and Process Yellow hammer at each other until the eyes scream "No more! A Rest, indeed, please! Give me the soothing shades!" But nay - they abound in 4 mm rounds as well in both the purple of popes and the yellow of daffodils! Methinks a daffodil might hide her pretty head in shame in deed to be next to so bright a fellow! Twisted indeed she might be, in fact, as twisted as a wire clasped firmly in a vise and made to turn about itself until it takes on a pattern as convoluted as the workings of a politician's mind! Or even perhaps as twisted as the thinking of a tormented soul that writes about tiny bedes! As grevious as the work is, the end result is dainty and pretty and brings texture and lightness to any object so crafted from it. Thou might choose to eschew the work that this involves and seek instead wire that has been pre-twisted - already worked for your pleasure! And with that time now saved, hie thyself to the wire pages, wherein a sea of untroubled colours - a pleasant balm of Seafoam Green, and blues both Baby and Navy lie awaiting and are prepared to gentle your soul and calm your spirits. And so we draw our tale to a close for another week, and likewise, we will soon close out the month of June! Much feasting and joy will fall on the celebration of the birth of this great nation, which falls on Tuesday next. As such - forget not that our store will be closed that hopefully fine and sunny day, but that our computer minions will always be available should you find the need for such items as we may supply to you. Click thee upon a link or image above, or get started with all the new items here. Bead happy! Bead Safe! 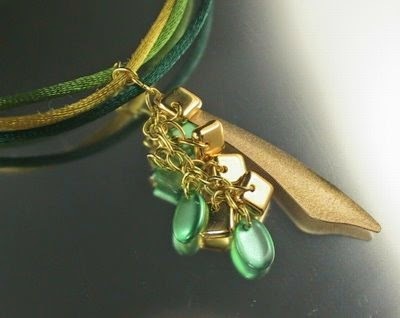 Mixed media is hot, and adding fibre techniques like knotting, kumihimo and materials like silk and felting to your jewelry expands your design options! We just re-organized to put our fibre arts items together, so you can find what you are looking for more easily. 20% off, ends Wed at midnight - don't miss out! It's Summer! A Great Time to Relax and take a July Class! Finally, we've hit summer! School is out, vacations have begun and it's time to relax. No need to stop learning - come on out and take a class with us. Comfort alert - our classroom tends to be a little cold at times, so it's always a good idea to bring a sweater or a light pashmina to put around your shoulders. 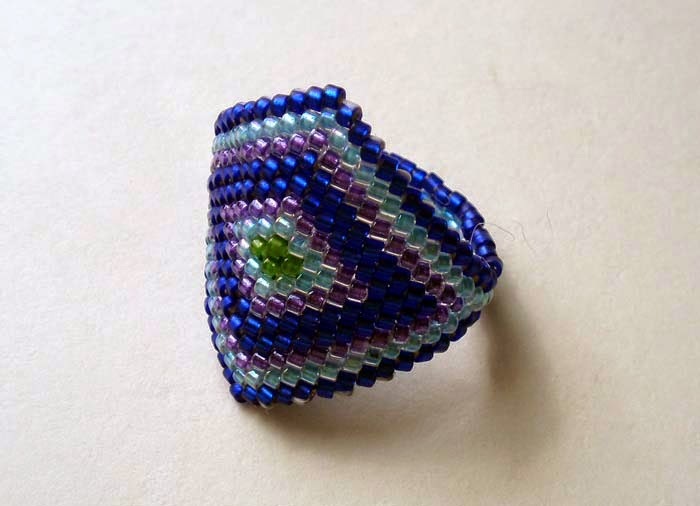 We have some new classes during the first half of July - Tracey Neidhardt is sharing how to make a beaded ring using brick stitch; Malliga Nathan is bringing us a necklace using hammered wire and Boro Swoop drops; and Anne Marie Desaulniers is teaching another mixed media project to create tiny Treasure Boxes (they are beautiful!). 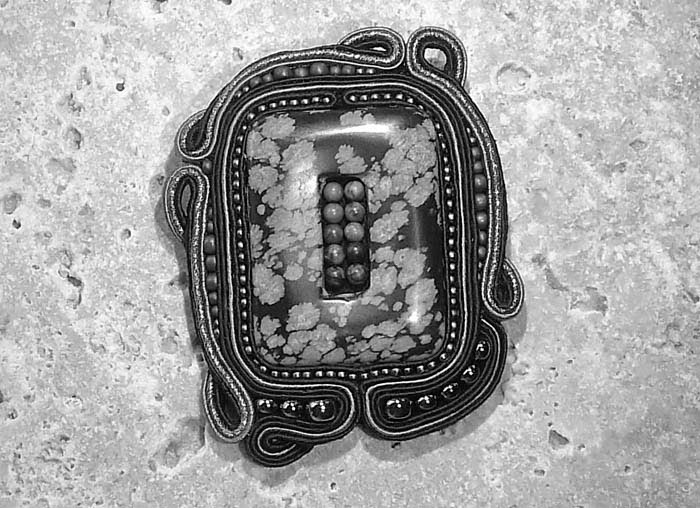 Cindy Goldrick is bringing us two new classes - Mold Making for Resin and Paper Clay Components and Playing with Fire: Enameling Fold Formed Components. 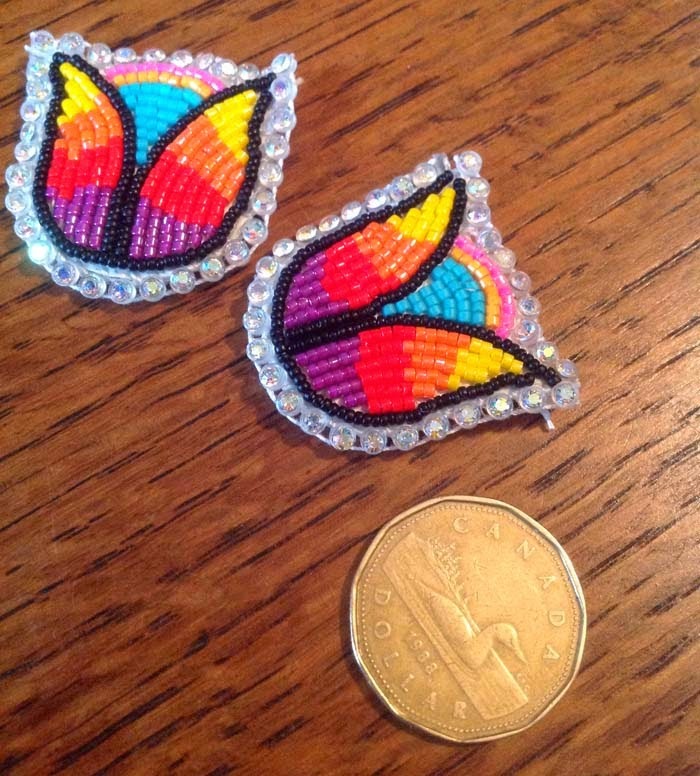 We also have a new instructor - Ian Akiwenzie is teaching us a traditional First Nations design with Ojibway Floral Earrings using bead embroidery. Ian is a traditional dancer is creates his own beaded costumes - they are truly amazing! I'm very glad to have Ian joining us. Details about all classes, including class and kit fees and course descriptions are on our website. 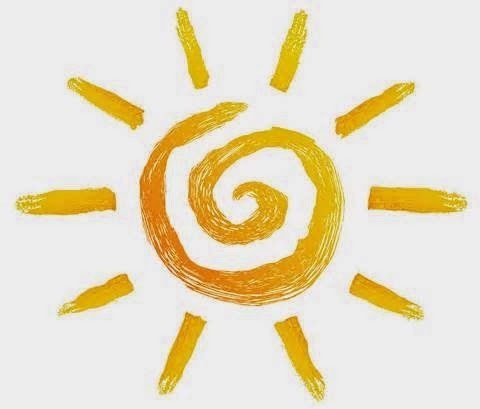 Click on 'Classes' and follow the link to the July class calendar. One day left! Leather 20% off! 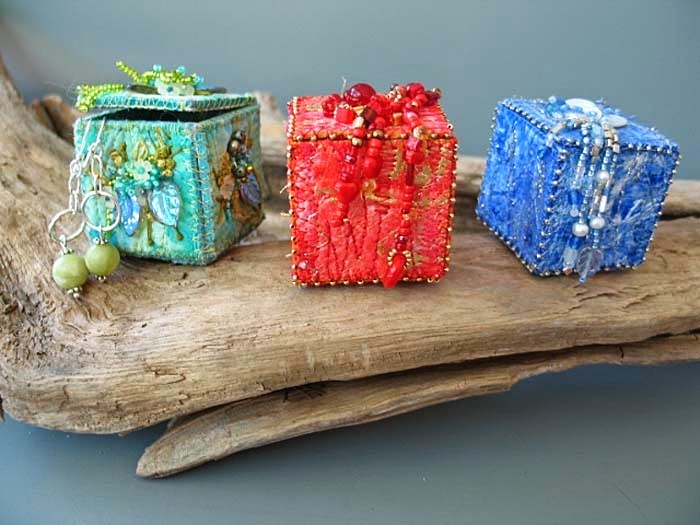 Diane Dennis is having a Trunk Show at BeadFX! One day left to save - 25% off stone! June continues with great classes! Last day - save on Japanese Seedbeads!